Welcome home to a 3 car side load garage quietly nestled at the back of a culdesac on approximately 2 picturesque acres of land, complete with hardwoods, a main level study, a wet bar, deck, patio, inground pool, 3 full bathrooms upstairs, and a fully finished lower level (media room, wet bar, wine closet, expertise room, 5th bedroom, rec room, full bath and storage). 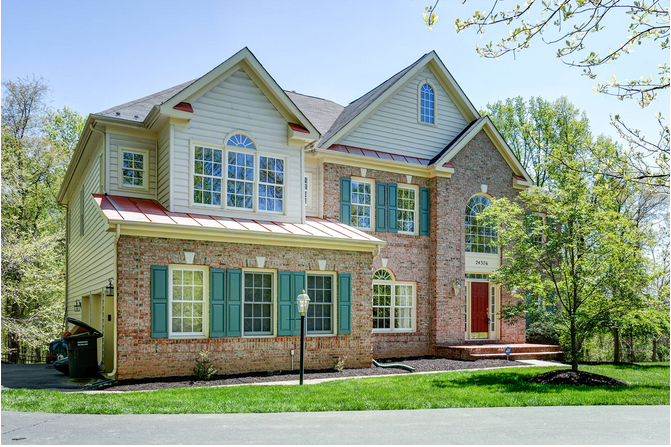 This gem of a home is located in the Marches Community, located just 45 minutes west of Washington D.C. and only minutes away from the Loudoun County areas of Brambleton and South Riding. The surrounding neighborhoods and shopping make this location wonderful for families to enjoy nature, outdoor activities, as well as shopping and restaurants. One can go from watching “birdies” at the Gilbert’s Corner Regional Park, to hitting “birdies” at the Brambleton golf course. “Pop” on over to the movies at the Regal Fox Stadium 16 to catch the latest on the silver screen. Hungry? Restaurants are “peppered” all around with wonderful options such as the Blue Ridge Grill, your spot for affordable, quality, all-American dining or Johnny Rockets, a family-friendly place to enjoy any burger or shake. The adults can relax and unwind at the at the new Lost Rhino Retreat, a brewery where you can kick back and relax, all while surrounded by live entertainment and a friendly atmostphere. The kids are taken care of in terms of education– members of this community will have access to the award-winning Loudoun County Public School system, which includes Aldie Elementary, Arcola Elementary, Buffalo Trail Elementary, Mercer Middle School, and John Champe High School. ~To view Ask Gina & Company’s Marches Listings or to ask any other Loudoun County Real Estate Questions, visit us online at HTTP://WWW.ASK-GINA.COM/ or call the AGC team at (703)574-3478 to learn how you can plant your roots in a community chock full with amenities surrounded by the perfect mix of nature and culture that adds up to your ideal family lifestyle!